Experience the Tetons like never before through Fly Jackson Hole, the premier provider of high quality scenic flights from Jackson Hole Airport. Ever wondered what it would be like to fly over the Grand Teton instead of climbing it? Now you can experience the Tetons like never before through Fly Jackson Hole. While experiencing Jackson Hole, nothing quite compares to seeing the breath-taking natural beauty from the sky. Soaring along the Tetons, you will escape into glittering alpine lakes, distant waterfalls and wild canyons that will make for an epic adventure of a lifetime. Fly Jackson Hole gives travelers the opportunity to tour the Teton range from above. Fly Jackson Hole’s aircrafts have refined interiors, modern avionics, and a front row seat to the mountains. At their core they provide high quality scenic tours while practicing responsible tourism. 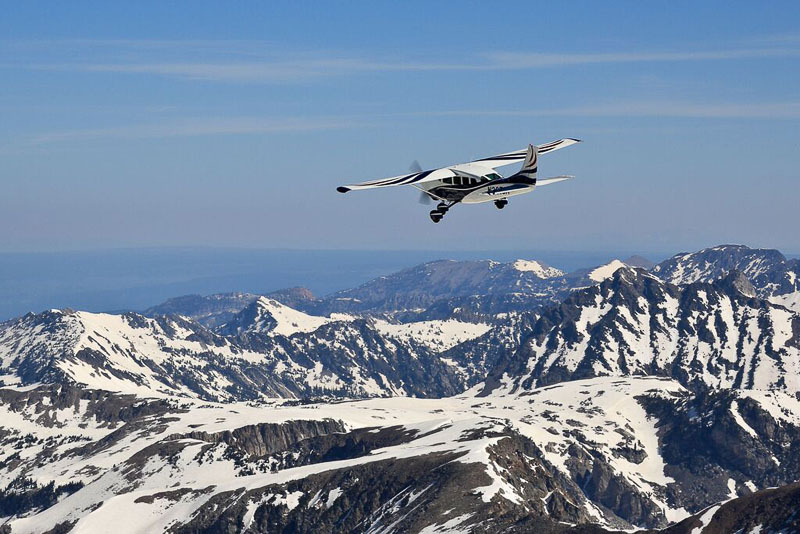 Fly Jackson Hole is the premier provider of high quality scenic flights from the Jackson Hole Airport. For more information or to book a scenic flight visit Fly Jackson Hole. A variety of scenic flight packages and gift certificates available.